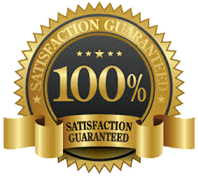 Quote Work– We provide honest and reasonable quotes in a timely manner to repair the unit and get your system up and running. Time & Material– Our work is mostly based on Time & Material basis. Customers pay for the time it takes to complete the job and the materials needed. Leak Detection– Technicians are fully trained to detect and fix leaks. Equipment Tagging-This helps us monitor repair/maintenance costs on specific pieces of equipment. It helps customers for decision-making purposes and to show the high-cost culprits in your system.